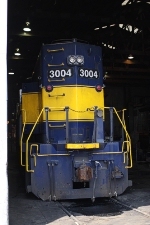 Description: Alaska GP40-2 3004 sits at Dixmoor. This engine is a loooong way from home! Description: Alaska GP40-2 3004 sits at Dixmoor behind the shop switcher. Description: This is a difficult railroad to photograph. 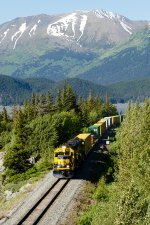 Description: While waiting for a southbound coal train (which I never did see), I caught this work train working its way back to Anchorage at restricted speed. This is the first rail-related photo I took since moving to Alaska!